These two AidCamps were held in conjunction with our partner organisation Social Change and Development (SCAD) just outside of the village of Cheranmahadevi in Tamil Nadu, India. SCAD works with the poorest of the poor amongst the low caste dalits ("untouchables") and runs a boarding school that provides education and health care for children affected by physical and intellectual disabilities, including polio, autism, down's syndrome, and attention deficit hyperactivity disorder. These two projects financed a block of therapy rooms for the school, providing the space and special treatment facilities to help the disabled children overcome their problems and develop a means of living independently. 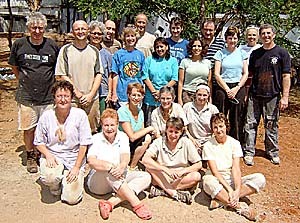 The volunteers plastered, painted, decorated and generally finished the block, with the first group completing one half and the second group completing the other. The volunteers were also taken on quite a few visits to see SCAD's work for the rural poor in the area, as well as on several local and regional sightseeing trips. "I spent the first few days walking round in a trance. I was totally awe-struck with India, the food, the smells, the people, the music and the absolute chaos that seemed to surround everything. I felt the way a child must feel seeing a new world for the first time. After a day’s travel we arrived at the SCAD campus. We had been told how wonderful the children were but nothing could have prepared me for the welcome we received. I have never seen a collection of children so able to convey their happiness and joy for life through the expression on their face. We received the same welcome time and time again; it was infectious and not just from children. Almost everyone we met seemed to ooze a happiness that shone through whatever circumstances life had thrown at them. It was totally unexpected to feel so inspired by the work of SCAD. Their work is undertaken with such drive and effectiveness, but with humility that I didn’t know existed in today’s world. It was a genuine privilege to listen to the founder of SCAD talk about its history, work and future. Here was a man who started the charity with nothing 20 years ago and achieved so much in improving the lives of over 300,000 people, yet he spoke without any ego at all. I have never come near such a human being before. The project itself, on some days, gave respite from the emotional onslaught of visiting the outreach work of SCAD. If anyone was going to test the AidCamps' 'no skills only enthusiasm required' statement it was going to be me. I did get stuck in and there was something for everyone to do from painting, cleaning, grouting to digging and all working together to move materials around. Another unexpected experience was the bond that developed with the local workers. They were the definition of patience and their work ethic was mind blowing. I also unexpectedly learned so much from the rest of the group and what a diverse group we were. The age spread was 22-77 and drawn from all walks of life. Without exception everyone went out of their way not only to fit in but also to encourage and support each other. To think I was worried about leaving the love and support of my family when it actually felt like I’d joined another family of 22 people. My expectations for the 3 weeks were high and I really wanted to do something proactive for those less fortunate. I left India knowing that I received 100 times what I had given. Words can’t convey the heart felt emotions I had experienced." "It has been wonderful to be part of something (SCAD) that is making a difference to the lives of so many people, and to have a brief view of culture and social conditions." "What a good way to start your first year as an old age pensioner." "More than just an AidCamps project, a truly 'supa' experience." "I have learnt so much in three weeks it will probably take me six months to assimilate it all. I will have memories for a lifetime." "Have travelled a lot in the past. For the first time I feel I really understand in depth about the people, the culture, the lives of those we visited. Quite different from a holiday." "It was a wonderful opportunity to experience India, more closely than I could as an ordinary tourist. Talks and visits showed me the context within which social development is being developed." "To 'do' is to 'be'. By engaging in physical work it made the experience of observing the culture and the humanitarian work wore meaningful and accepting." "It opened my eyes to the joys and problems of India." "A great opportunity to take part in a most worthwhile project." "I thoroughly recommend AidCamps. It is an opportunity to get an insight into how good development programmes can make a huge difference to people's lives." "Tremendous in depth experience at grass roots level - highly recommended." "This has to be the way forward for tourism, people can't continue to travel without such a worthwhile purpose - what's the point?" "Humbling, inspiring and at times heart breaking." "Thought provoking and really put life in perspective." "It was great to be involved in a hand on way rather than simply making a financial contribution. I really enjoyed meeting the children who will benefit from this project." "If you want to know what kindness is and means, and meet joyful, humble people who know how to live, however poor their circumstances, then come to an AidCamp." "My second AidCamp, very different from the first, but again a fantastic and rewarding experience! Looking forward to the next!" "I had the best time. I have seen and experienced the most amazing things, I can't recommend it enough." "It has been wonderful to be part of something (SCAD) that is making a difference to the lives of so many people, and to have a brief view of culture and social conditions." "What a good way to start your first year as an old age pensioner." 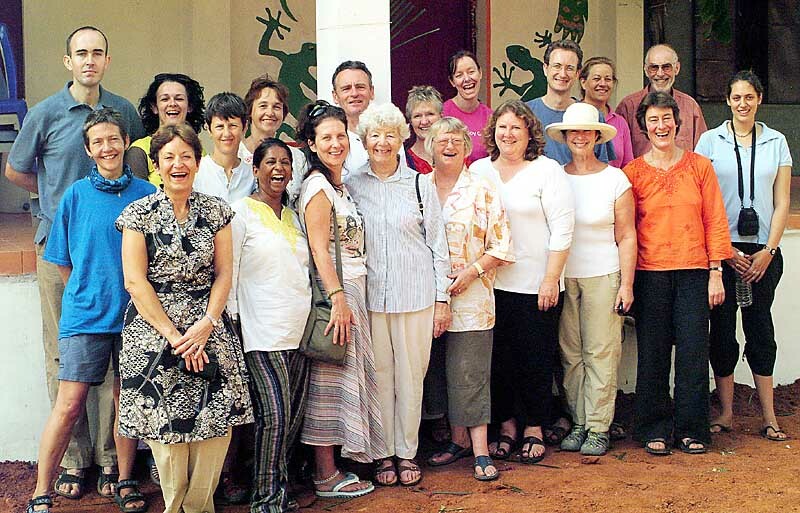 "More than just an AidCamps project, a truly 'supa' experience." "I have learnt so much in three weeks it will probably take me six months to assimilate it all. I will have memories for a lifetime." "Have travelled a lot in the past. For the first time I feel I really understand in depth about the people, the culture, the lives of those we visited. Quite different from a holiday." 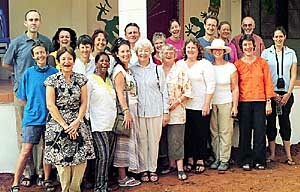 "It was a wonderful opportunity to experience India, more closely than I could as an ordinary tourist. Talks and visits showed me the context within which social development is being developed." "To 'do' is to 'be'. By engaging in physical work it made the experience of observing the culture and the humanitarian work wore meaningful and accepting." "It opened my eyes to the joys and problems of India." "A great opportunity to take part in a most worthwhile project." "I thoroughly recommend AidCamps. It is an opportunity to get an insight into how good development programmes can make a huge difference to people's lives." "Tremendous in depth experience at grass roots level - highly recommended." "This has to be the way forward for tourism, people can't continue to travel without such a worthwhile purpose - what's the point?" "Humbling, inspiring and at times heart breaking." "Thought provoking and really put life in perspective." 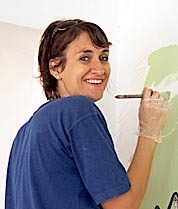 "It was great to be involved in a hand on way rather than simply making a financial contribution. I really enjoyed meeting the children who will benefit from this project." "If you want to know what kindness is and means, and meet joyful, humble people who know how to live, however poor their circumstances, then come to an AidCamp." "My second AidCamp, very different from the first, but again a fantastic and rewarding experience! Looking forward to the next!" "I had the best time. I have seen and experienced the most amazing things, I can't recommend it enough." "I'd always wanted to go to India and, as a returning volunteer, knew that AidCamps would provide a wonderful opportunity to work and live in a local community. Having signed up I was really excited about getting stuck in to the project in Cheranmahadevi. After a relaxing weekend in Trivandrum acclimatising and getting to know the others on the project we had a spectacular train journey through the Western Ghats to arrive at the SCAD campus and project base. I don't think any of us were expecting the enormous welcome we received; dozens of children with welcome banners sang to us and presented us all with garlands of flowers. I don't think I've ever seen so many beautiful, smiling faces in one place before! 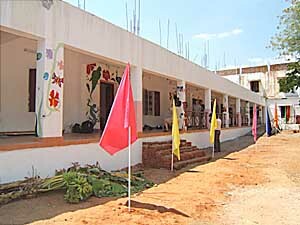 The work on the project started in earnest and we quickly prepared the rough walls, painted the walls and window frames. We then spent time designing and creating a garden and play area for the children and decorated the outside of the building with brightly coloured flowers, butterflies, birds and elephants. Working in the heat was tiring but being able to chat with the children during their breaks from lessons ensured all of us kept smiling! We could see first hand just how much our building was going to be put to good use. Visiting previous AidCamp projects also reinforced this as we could see the buildings being used daily by so many children who have so little. These children really were inspirational and I think we were all moved and humbled during these visits. We were always made to feel so welcome. At the end of the project we had a couple of really special afternoons; the opening ceremony and a cultural show. Speeches were made and milk boiled and shared by all to bless the building. We all wore our saris and dhotis which I think the children found quite amusing, but not as amusing as our group rendition of the YMCA! The staff and children were so thankful for our contribution to the school but, as was said in the speech made by one of our group, we took away so much more than we could ever give. I think absolutely everyone was in agreement with this. It was also brilliant to spend the afternoon with the children in the newly created garden. The rope swings, tyre tunnel and hopscotch were big hits! I hope to go back next year and know it will be great to see the rooms and garden being put to good use. As an Occupational Therapist myself it was lovely to be able to talk with the Occupational Therapist and Physiotherapists at the school about what they wanted from the building and how they planned to use it. Another thing I will look forward to about going back to India will be visiting the staff at the SCAD campus. They were also tremendously hospitable and looked after us extremely well. After three weeks I think we all felt very much at home and were really sad to leave. A particularly enjoyable part of the project was our weekends away that provided a great opportunity to relax and explore. However I think that the most special memories for me will always be the children we met. India was an amazing experience and I am so pleased to have been involved in completing a project that will obviously benefit so many children. Those smiles will stay with me for a very, very long time." "One of life's great experiences." "An experience not to be missed for anyone who likes children, hard work, travel, and a certain amount of adventure." "Another great experience I will remember forever." "For a first AidCamp I got far more out of it than I had imagined." "The whole AidCamp was an amazing experience -- I loved India and the smiles of the children will be treasured memories." "I got a whole lot more than I put in -- thanks!" "I've had a great time in good company visiting a fascinating country." "A highly rewarding experience. You can see the benefits of your donation take shape before your eyes." "It was all I had hoped for and more." "Seeing the projects first hand gave us a stronger understanding of the social development work that AidCamps' partner organisation does." "So glad I took this unique opportunity to experience AidCamps' partner organisation's work at first hand." "A memorable and humbling experience -- what the local people and children gave to me was far greater than what I gave them." "Felt like a holiday but a million times better. A very rewarding experience." "A truly fantastic experience, one I shall never forget. It had absolutely everything I could have hoped for and much much more!" "This was a dream come true for me and I hope to be involved with AidCamps and their Indian partner organisation in the future." "What an amazing way to learn more about oneself and another culture. I gained more from the project than I could ever have envisaged at the outset and hopefully we really made a difference to the lives of some wonderful children." "The best way to see the REAL India." "An awe inspiring trip. I was deeply moved by all whom I met. I will never forget the beaming faces and smiling hearts." "One of life's great experiences." "An experience not to be missed for anyone who likes children, hard work, travel, and a certain amount of adventure." "Another great experience I will remember forever." "The experience of a lifetime." "For a first AidCamp I got far more out of it than I had imagined." 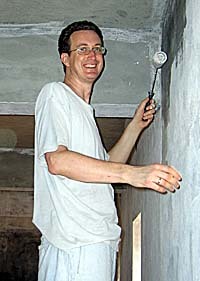 "The whole AidCamp was an amazing experience -- I loved India and the smiles of the children will be treasured memories." "I got a whole lot more than I put in -- thanks!" "I've had a great time in good company visiting a fascinating country." "A highly rewarding experience. You can see the benefits of your donation take shape before your eyes." "It was all I had hoped for and more." "Seeing the projects first hand gave us a stronger understanding of the social development work that AidCamps' partner organisation does." "So glad I took this unique opportunity to experience AidCamps' partner organisation's work at first hand." "A memorable and humbling experience -- what the local people and children gave to me was far greater than what I gave them." "Felt like a holiday but a million times better. A very rewarding experience." "A truly fantastic experience, one I shall never forget. It had absolutely everything I could have hoped for and much much more!" "This was a dream come true for me and I hope to be involved with AidCamps and their Indian partner organisation in the future." "A labour of love." "What an amazing way to learn more about oneself and another culture. I gained more from the project than I could ever have envisaged at the outset and hopefully we really made a difference to the lives of some wonderful children." "The best way to see the REAL India." "An awe inspiring trip. I was deeply moved by all whom I met. I will never forget the beaming faces and smiling hearts."